This book addresses the needs of engineers and technicians who are already familiar with the mobile and/or telecom environment but who require detailed knowledge of the TCP/IPprotocol suite and its operation and network architecture. 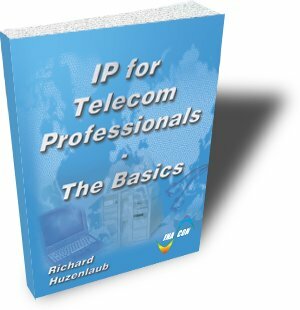 The book is called "The Basics" and it makes the student familiar with all basic aspects of the IP-protocol suite. That includes the interaction between IP and lower layer protocols (<-> Ethernet, PPP) and upper layer protocols like TCP, UDP and the different application protocols FTP, SMTP, POP3 etc..
All protocol aspects are related back to real life applications and to the responsible network elements like routers, switches, hubs and bridges. Possible network architectures are one major focus of this book.